Place cooked ham in your Crock Pot. 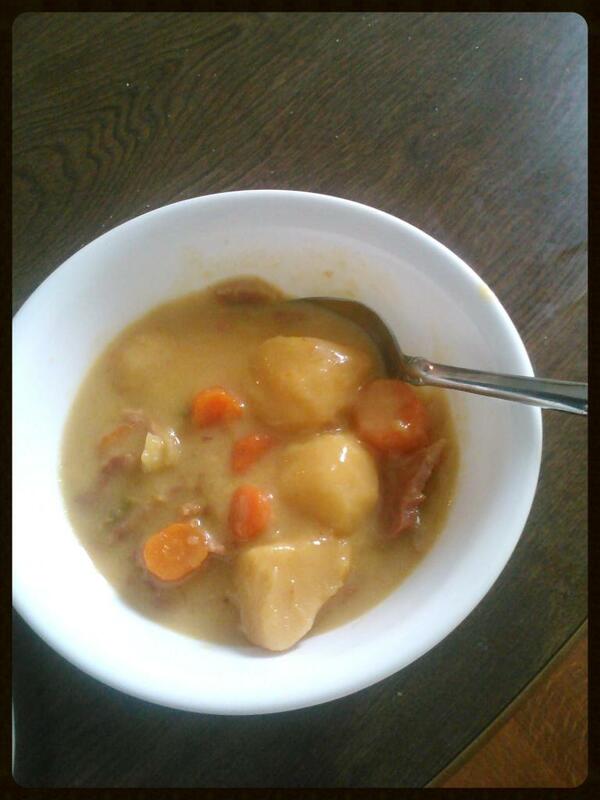 Stir in the soup, apple juice, potatoes, carrots, pepper and cabbage. Cover and cook on high for 3 1/2 hours. Add the milk to the stew. Cover and cook 2 1/2 hours longer or until vegetables are tender. i love crock pot stews! This looks yummy, thanks for sharing! I love my crock pot and my family loves cabbage! I will have to try this recipe! Sounds delicious, but my daughter won't eat anything even remotely cheesy. I wonder if I could just skip the cheese soup or just sub more of the cream soup.